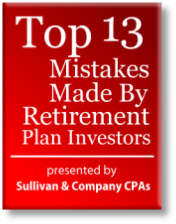 Presented by – Sullivan & Company CPAs. Get Instant Access to the Audio Replay of this Call! Mistake #12: Not learning from the _____________ of the market.